Giveaways galore! Everyone loves free stuff. Over the weekend, set up an easy, no-stress contest that promotes interaction on your social pages and keeps you top of mind with consumers and previous clients. You don’t have to give out anything crazy expensive, either—some movie tickets or a smart speaker are great examples of attractive prizes that will get you more likes, shares and comments. Remember, however, that you can’t outright reimburse consumers for referrals, so make sure your contest is approved by your brokerage and abides by real estate law. Go on a social spree. While most say that scrolling through social media isn’t productive, the same can’t be said for professionals using it to network and build fruitful relationships. Visit the pages of other agents and of your current followers, and participate. You can’t expect people to comment on or like your posts without any reciprocation, so go ahead and get involved in online discussions with your sphere. Like others’ posts and even share those that are relevant to your own page. You’ll come to find that the more you involve yourself in others’ social interactions, the more they are willing to be involved in yours. 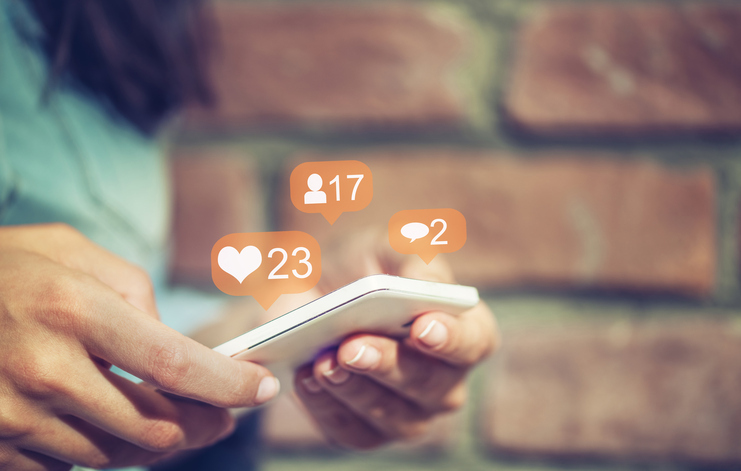 While there are many aspects of social media marketing that you can set and forget, when you have some down time, you can truly improve your online strategy by getting more involved and reminding your connections of who you are and the value you offer. Liz Dominguez is RISMedia’s associate content editor.